A range of quality fibre-optic patch/interconnection leads and adaptors for the optical transmission of digital audio signals. 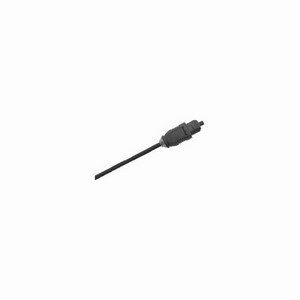 Connectors are Toslink compatible and inner cable construction is fluoropolymer-clad PMMA with a polyethylene secondary jacket and PVC outer sheath. All cables are available in the following standard lengths: 0.6m, 1m, 2m, 5m and 10m.